We arrived in Tampere and drove towards the city centre looking for a place to park. 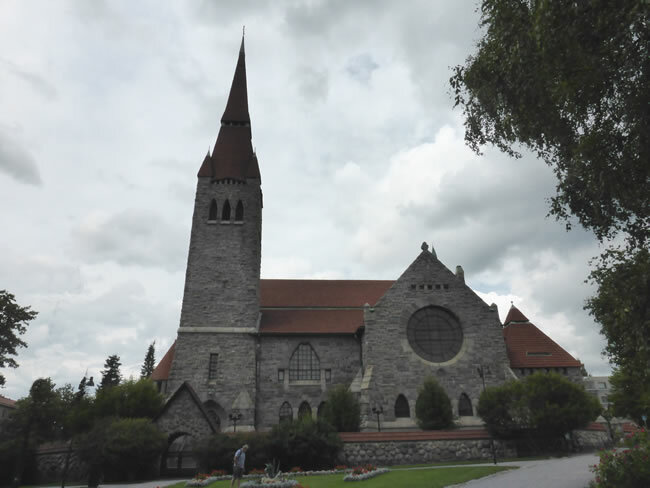 Of course Tampere Cathedral and its tall spires stood out so we found a park nearby and started from there. This cathedral was built in 1907. See Album 67 which covers the rest of our time in Finland from Tampere to Helsinki.